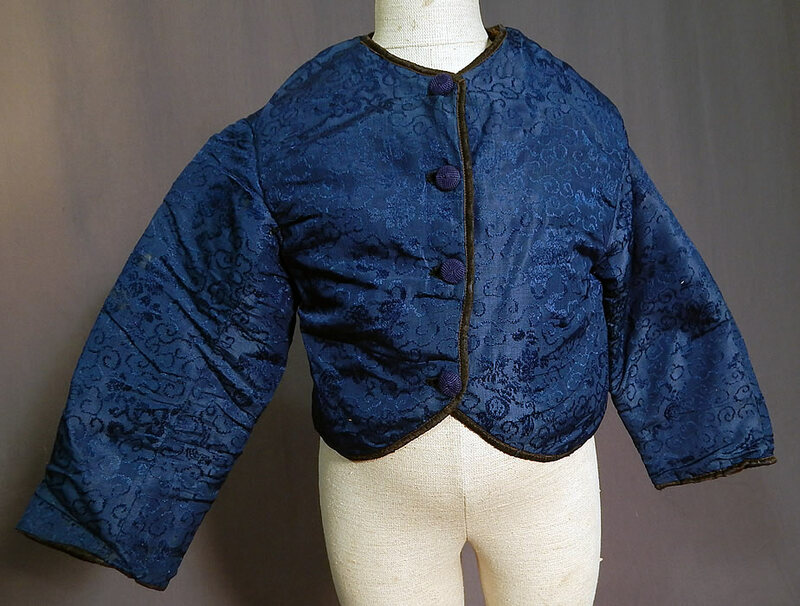 This Victorian era antique Chinese blue silk damask brocade quilted boys child coat jacket dates from the late 19th century. It is made of a dark royal blue color silk damask weave with auspicious symbols, Eight Buddhist Emblems, clouds of smoke woven pattern brocade fabric. 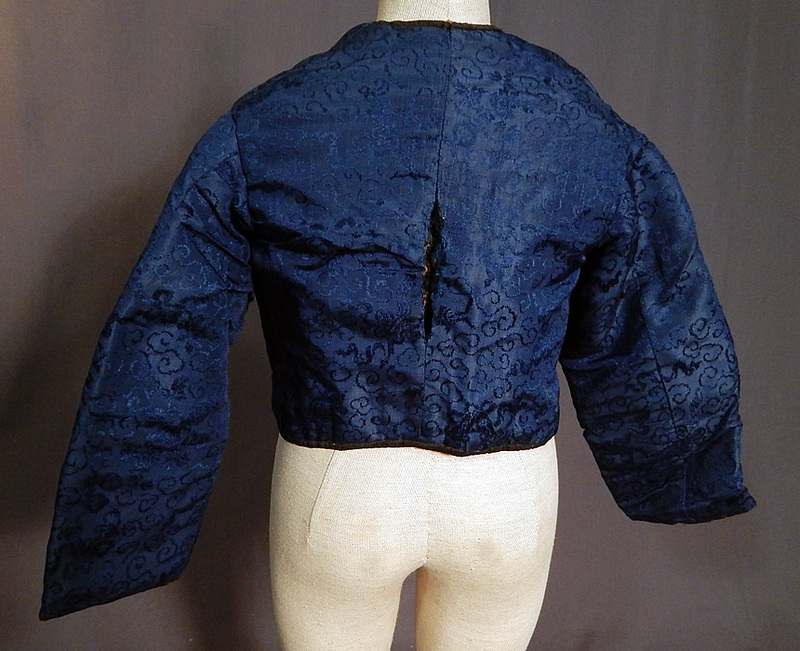 This child's Chinese coat jacket has a Western style, with a short cropped length, tailored, form fitting, long full sleeves, black silk trim edging, with blue crochet button closures down the front and is fully lined in a quilted black silk fabric with cotton batting inside for warmth. The coat measures 12 inches long, with a 24 inch chest, 24 inch waist, 12 inch long sleeves and 9 inch back. 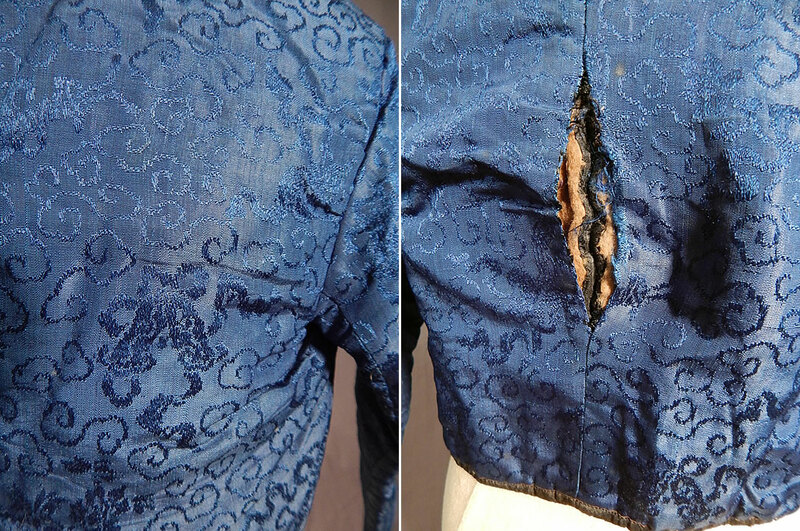 It is in fair as-is condition, with an open seam on the back and some wear, fraying on the inside quilted silk lining (see close-ups). 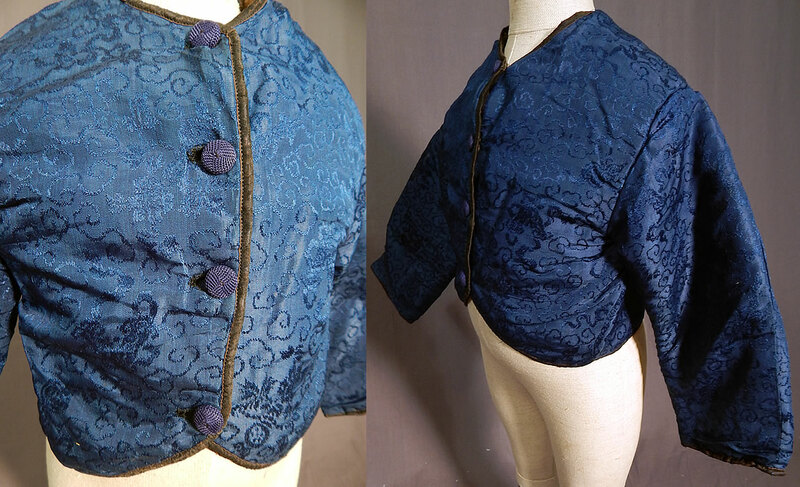 This is truly a rare and wonderful piece of wearable antique Chinese textile art made for the Western market!